SOCIFI White Label is a great tool to achieve your business goals. SOCIFI is a global leader in WiFi & LTE monetization & analytics. The SOCIFI platform is ready for immediate integration into your service portfolio. Our powerful API enables the integration process into your business systems. Are you planning to extend your service portfolio? Would you like expand your business with a new product? Are you MNO or ISP and looking for a scalable 4G / WiFi monetization and communication platform? Your own logo on the Splash Page and on the Dashboard. Ability to White Label all your subaccounts with Unlimited White Label. Your own domain for both Splash Page & Dashboard. Your own Terms & Conditions. With the “White Label” license, you get the option to use your own domain and company logos. We are able to provide you SOCIFI as a White Label solution. You can remove/replace the SOCIFI logo on the Splash Page and on the Dashboard. You can also use your own domain name for the Splash Page & for the Dashboard. 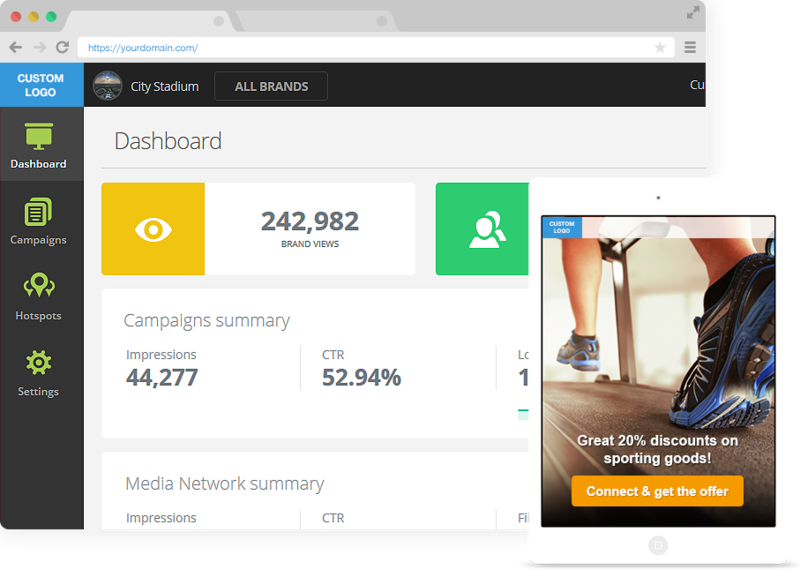 Designed mainly for direct WiFi publishers (Wi-Fi owners) & large venues. With Single License, you get the pure White Label for one account only. All brands under your selected account are White Labeled too. Designed for Partners & Resellers. With Unlimited White Label License, you get the pure White Label for the unlimited number of accounts. You have the option to White Label all accounts for all your customers created under your Partner ID. White Label for one account. This is a great solution if you are a venue or you need to White Label just one account you use for WiFi marketing. White Label for the unlimited number of accounts. You have the ability to resell White Label to all your customers or simply use White Label to hide all SOCIFI branding. 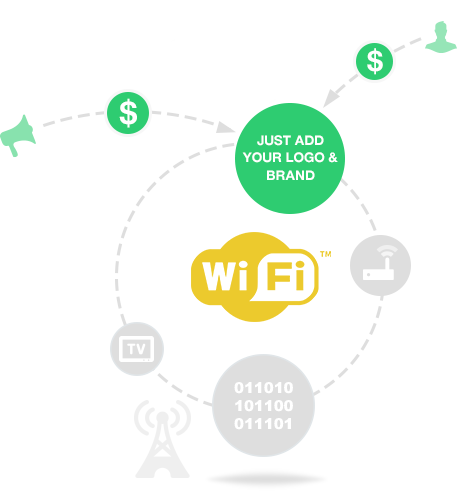 SOCIFI will provide you with digital materials you can use to promote your new WiFi Service. With Unlimited White Label License you get SOCIFI Sales Decks without SOCIFI branding. It's easier to resell the solution when you have materials like pro. Our Support Desk manager will upload and set the brand (logo) you've decided to use. Simply follow the guides and you'll be up and running in no time. SOCIFI team is happy to help you with the branding as a complimentary service. Simply send us what would you like to achieve and we'll do our best to support you. When White Label License is active, no SOCIFI logo is displayed anywhere. Resell or use SOCIFI as your own solution. White Label Single and Unlimited License enables you to use SOCIFI on your own domains. You don't need to use connect.socifi.com for the Splash Page or admin.socifi.com for the Dashboard. Use your own and be unique. Do you have your own Terms & Conditions? No worries. With White Label you can easily change the standard T&C and amend them anytime you need. Yes, you get all that. Ability to use your own domain, logo and terms & conditions. The White Label Licences are ready when you are. Contact your account manager or SOCIFI Support Desk to get your White Label Now. Expand your business with a new solution. Visit our Support Center to see all the details.